Having worked with several different agencies across the Pacific Northwest, we have gained a great wealth of knowledge that helps in our planning, budgeting, and scheduling of each project. Wenaha Group understands how to navigate the complexities and intricacies that come with public agency work. Due to most agency work being task order oriented, we have set up a systematic approach that helps guide each task order to a successful completion. Communication is key to the success of any project, but when it comes to public agency work, it is paramount to establish a communication protocol early. Understanding who the stakeholders are, working closely with them and keeping them well informed are vitally important. We also understand the importance of ongoing operations, including interactions with the public, and how to plan and work around them without disruption. Morrow County sought to update operations in a new county office facility that would complement the adjacent 1902 courthouse which is still in use. Wenaha Group facilitated a needs assessment to identify the workflow and space then managed the design process while being sensitive to the historic surroundings. 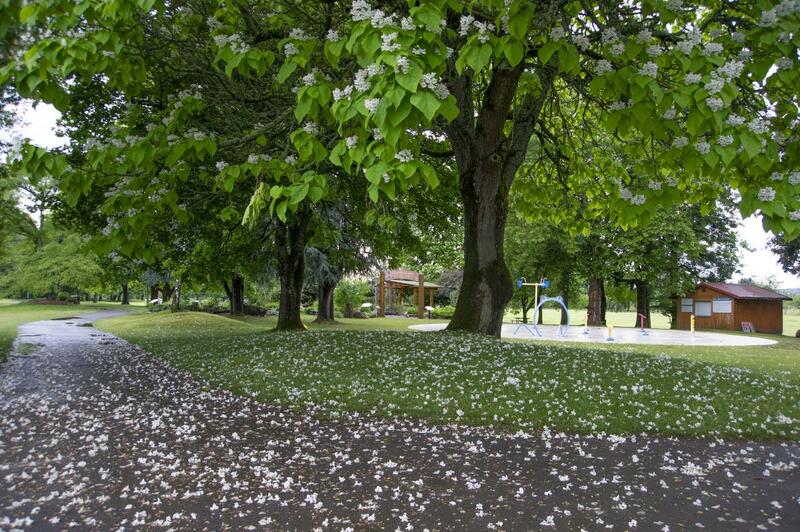 Before construction started, Wenaha Group also assisted in the rezoning, replat and planning process. 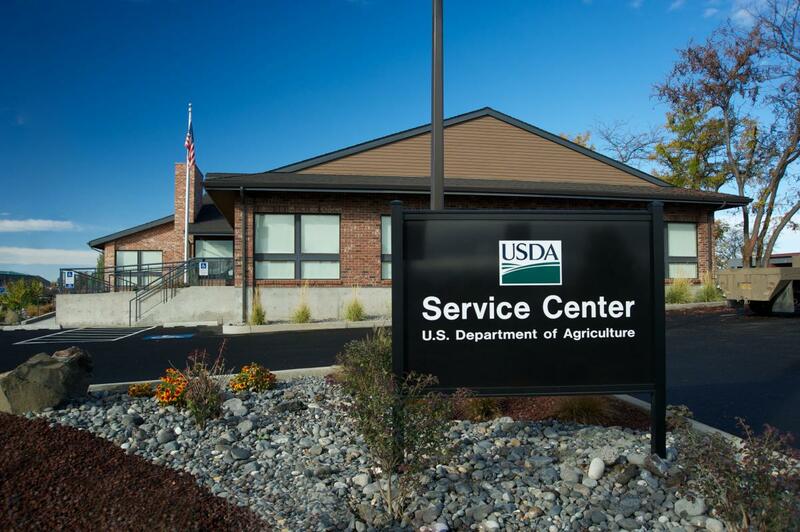 A contractor was selected who understood rural values and had a sense of the Heppner community. The new two-story, 11,216 square foot Bartholomew Administrative Building was completed in November 2015, and now houses county health, finance, special transportation services, juvenile services, and county court offices. The first phase consisted of, but was not limited to, providing all materials, labor and equipment to make park entry improvements including site clearing, grubbing, grading, erosion control, storm water facilities, asphalt entry drives, curbing, lane markings, signs, water quality swales, catch basins, a dry well, landscaping, irrigation, post and cable fence, prefabricated booths with foundations, utilities and exterior customizations and miscellaneous site work. 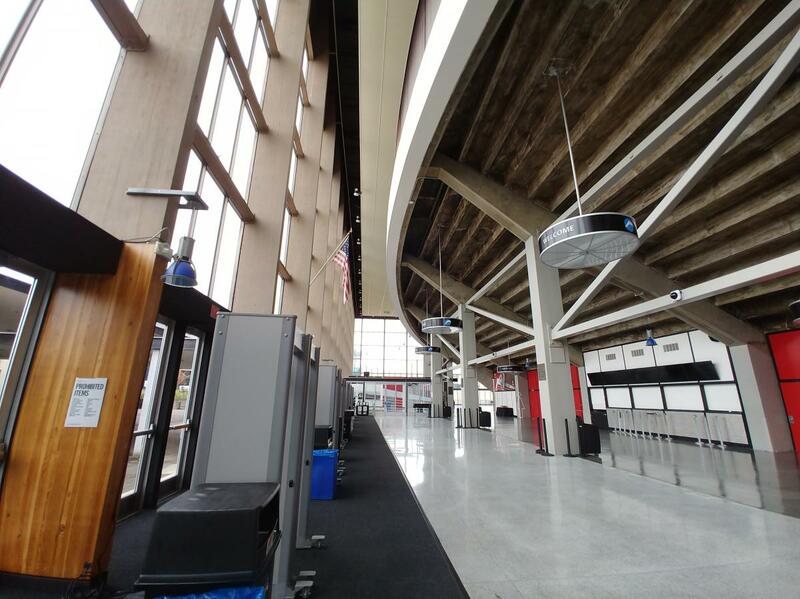 Work also included installation of site furnishings, owner-furnished Ventech ticket machines, entry gates, and signage. The second phase included removal of three wood structures used for viewing or bridging the wetland within the park and replacing them with steel-framed structures on the modified existing concrete footings. Scheduling was an important factor as demolition of the elevated deck structures and reconstruction of piers can only occur when water levels in the wetland have receded enough to expose the concrete footings. Asphalt trails connecting these surfaces were also replaced with compacted gravel. 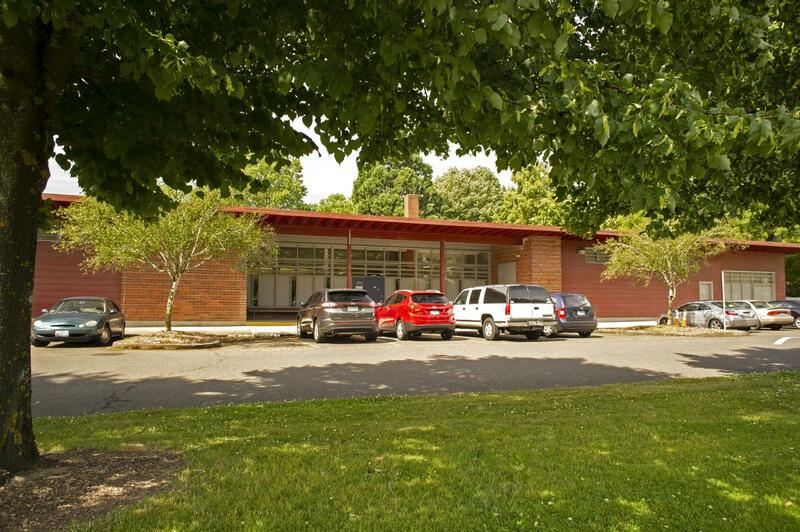 The third phase consisted of demolishing the existing restroom facilities and then replacing them with four new, pre-engineered restroom buildings. Each restroom building consists of eight single-occupancy restrooms, associated utility connections, and adjacent landscaping. The park remained open during this process so coordination with park staff was critical. The purpose of this project was to repair and improve select visitor features at the park while reducing the need for ongoing maintenance by Metro staff. 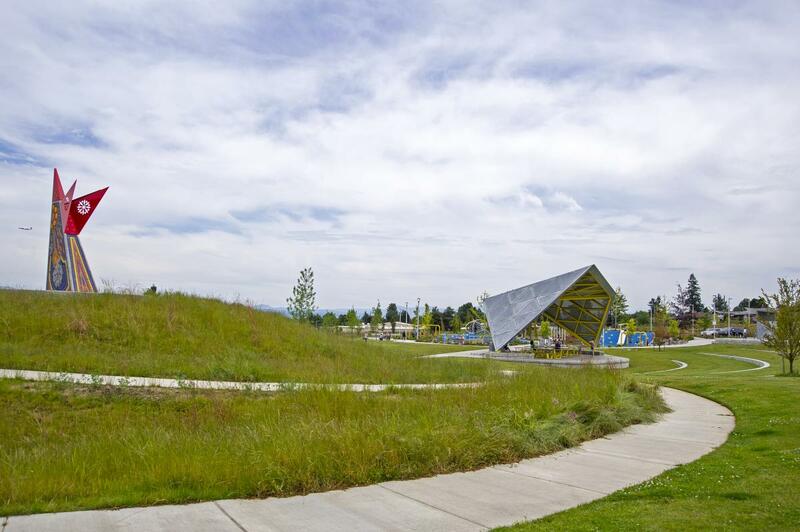 Additionally, the project reduced the amount of impervious surface areas at the park and mitigated disturbances to the natural environment by enhancing the presence of native vegetation. 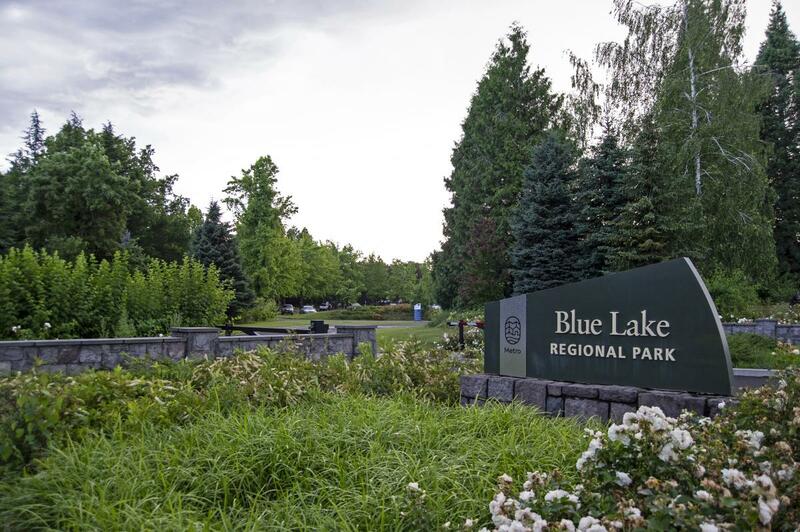 Work included removal and replacement of an existing pathway, removal and relocation of existing site furnishings and enhancements to landscaping and trails. 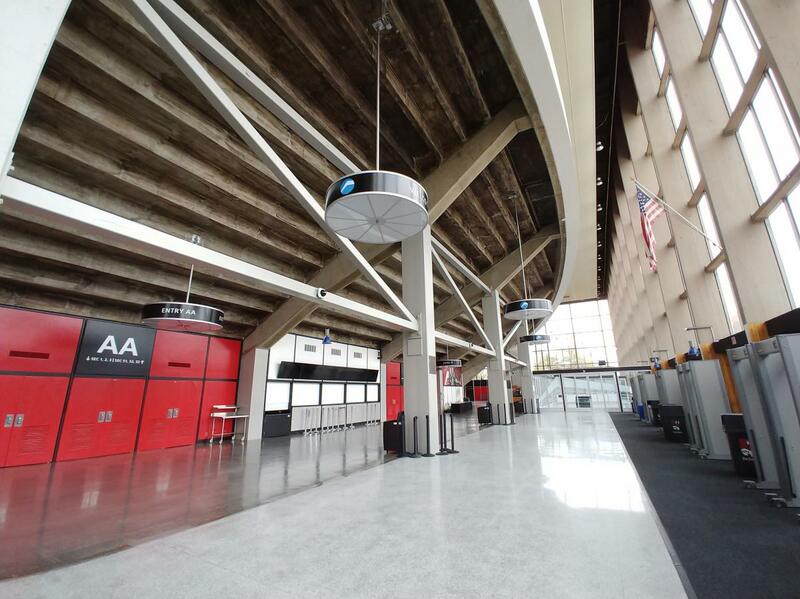 Our scope of work included onsite construction oversight, close coordination with Metro, weekly meetings, submittal review, RFI’s, change order review and approval, schedule monitoring, daily reports, photo documentation, punch list and close-out documentation. 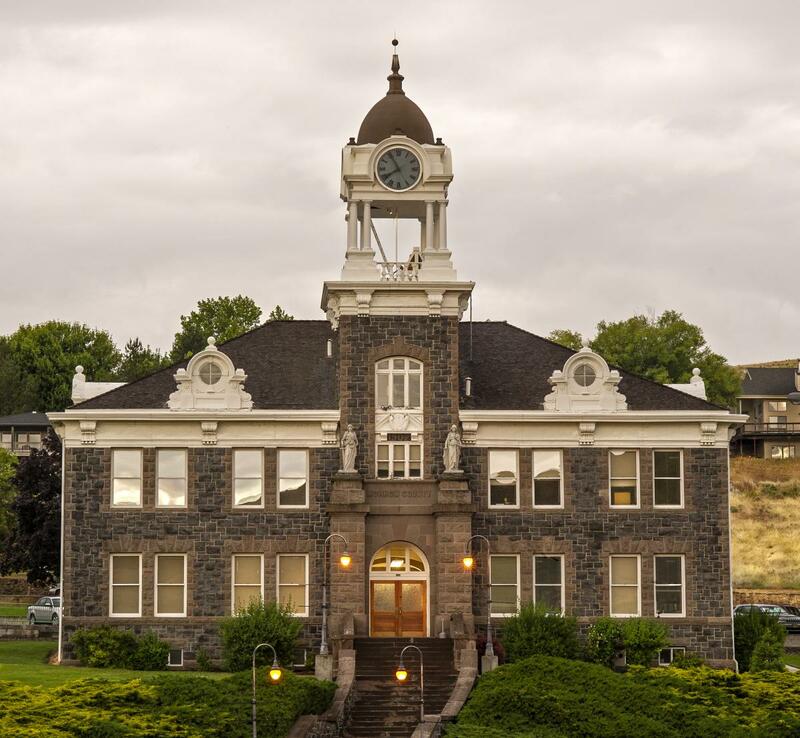 This project includes a new 15,000 square foot administration building as well as revisions to the existing historic courthouse. The new building includes courtroom and law enforcement facilities with modern security standards and practices. 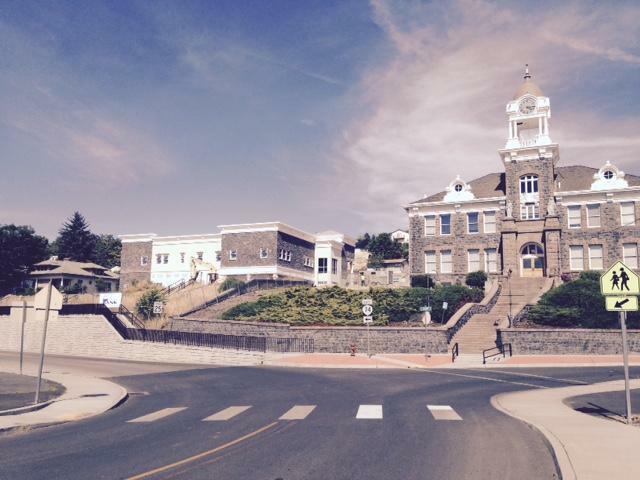 A connecting link was planned to the historic courthouse to improve the functionality and security of the campus as a whole. 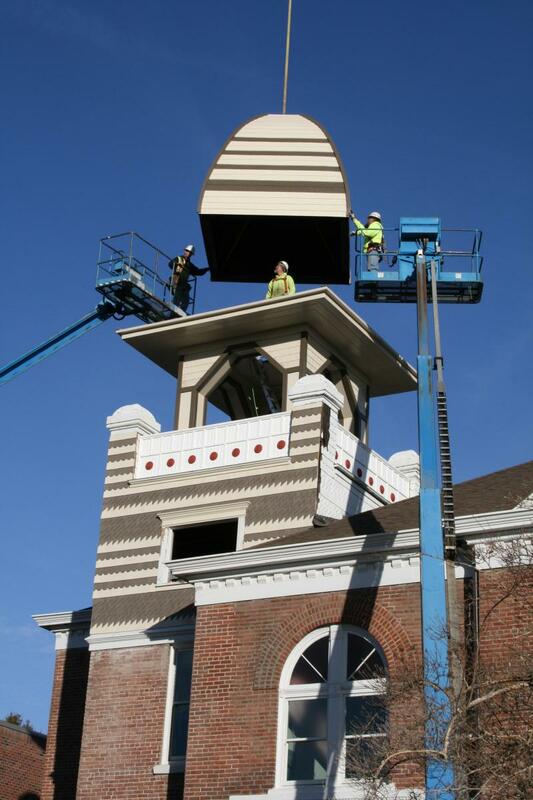 As part of the project, the historic cupola was re-constructed to replicate the original 1899 construction which had become damaged and had to be removed more than 60 years before. 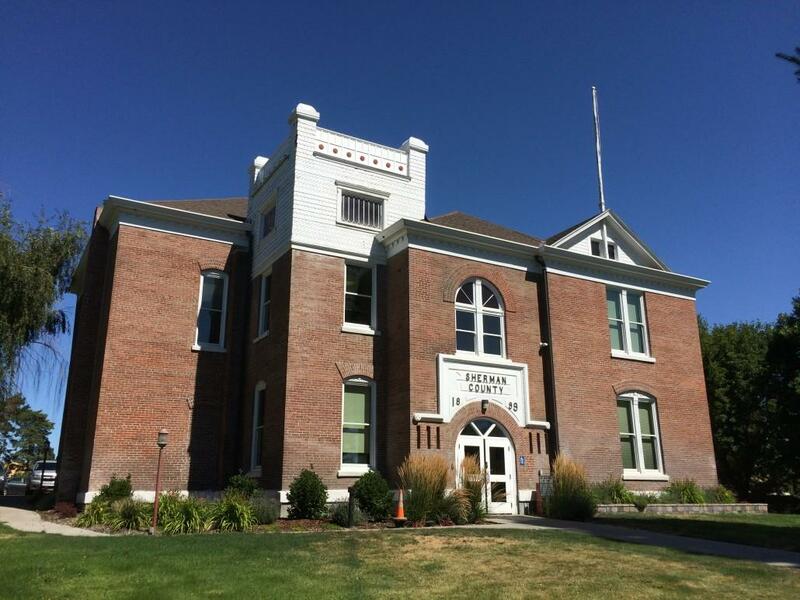 Sherman County has been governed from the existing courthouse for over 100 years and the new campus is intended to serve just as well for the future. This project involved construction oversight of the renovation of an existing maintenance storage building. Scope of the project included holding and conducting pre-construction meetings, weekly OAC meetings, submittal review, RFI's, change order review and approvals, schedule monitoring, punch list and close out. 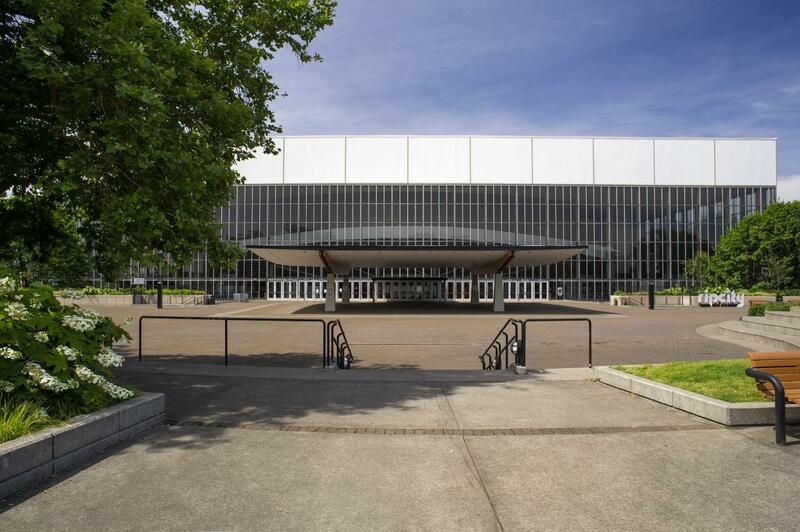 Wenaha Group worked in conjunction with Portland Parks and Recreation as on site compliance, inspections and contract documents conformance throughout construction and closeout. 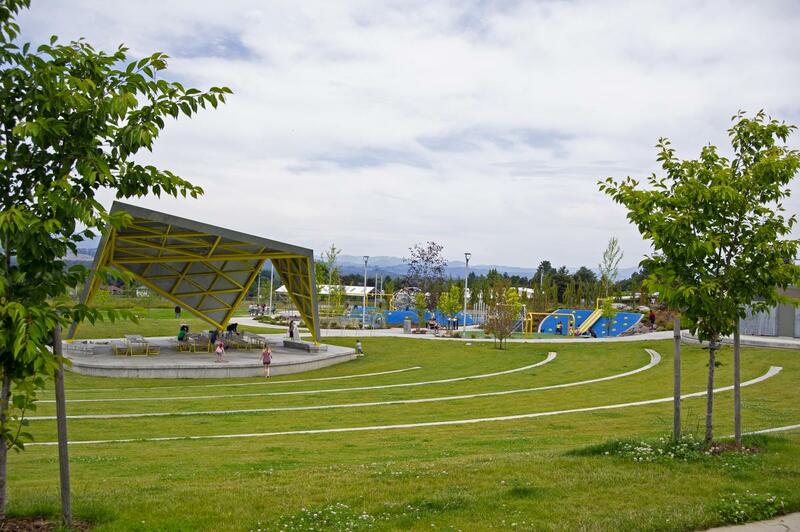 Wenaha assisted with on site management for quality.Luuwit View Park features large, expansive lawns and accessible playground, a fog garden where water mists out for children play, grand views, youth sports field, full-size basketball court and a teen area. 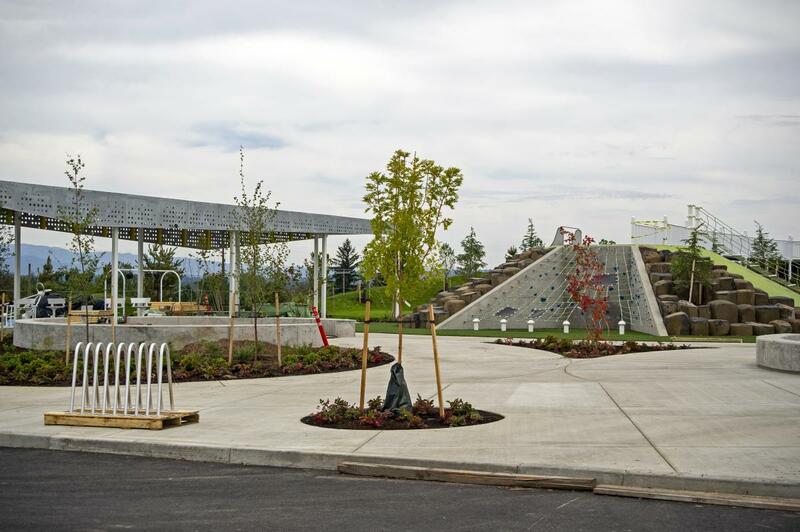 The latter includes a climbing structure, two ping pong tables, group seating area and a skate park. The entire teen area is covered, with colorful sports court surfacing. 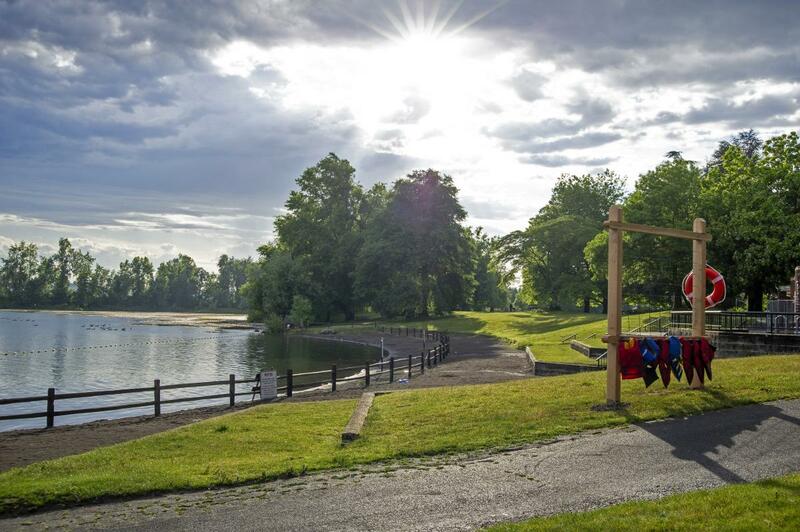 Other park features include accessible picnic areas, a shelter, a restroom, foot and bike paths, parking, community gardens, and a fenced off-leash dog area. 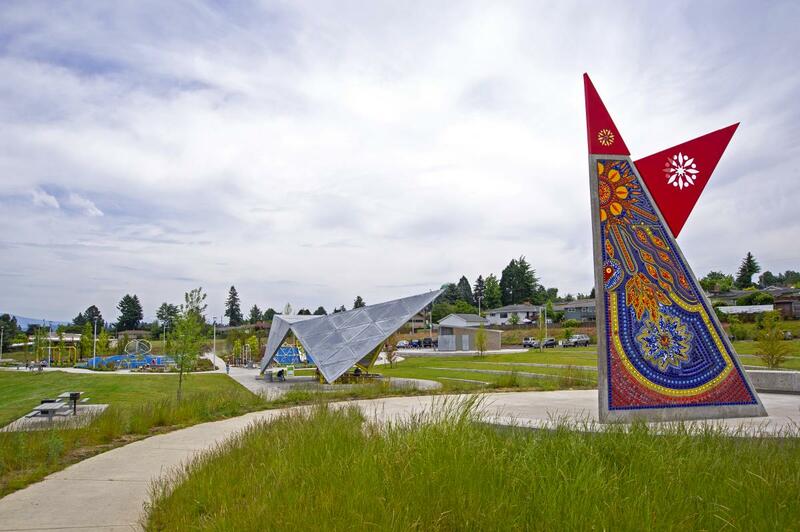 A multi-use paved trail circles around the entire site with a public art and bilingual interpretive signage incorporated into key areas. RCL Holdings is a private company that leases space to the USDA and other federal agencies such as the Natural Resources Conservation Service. This project was a renovation and addition of an existing property and elevator. 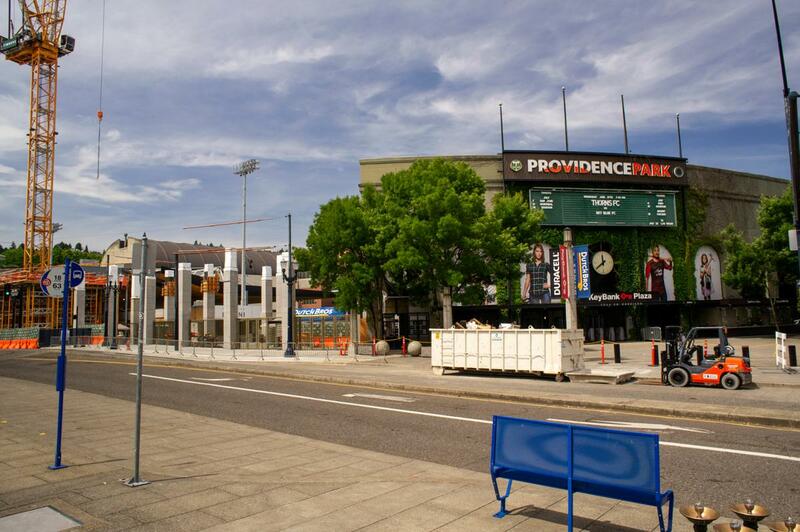 This is a procurement and construction oversight of the replacement of half the roof of the Providence Park Soccer Stadium. Scope included contract negotiations, contract writing, conducting pre-construction meeting, weekly OAC meetings, submittal review, RFI’s, change order review, and schedule monitoring. 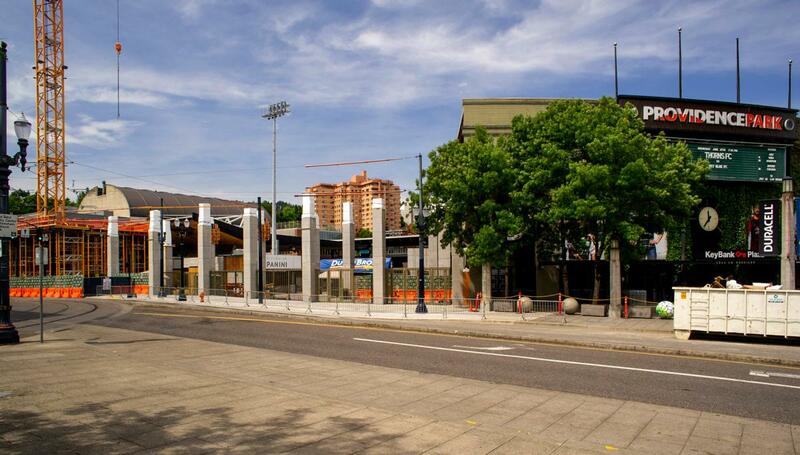 This project was construction oversight for the City of Portland of a 4000 seat expansion to Providence Park Stadium. The scope of work included drawing and spec reviews, weekly OAC meetings, photo documentation, job walks, change order and budget review and punch list participation. This project was a construction of a 42,000 square foot recreation center, including an oversized gymnasium, weight room, aerobics room, locker rooms, and indoor natatorium complete with three pool areas. This was a procurement and construction oversight of ADA improvements in two Rose Quarter parking garages. The scope included contract negotiations, contract writing, conducting pre-construction meetings, weekly OAC meetings, submittal review, RFI’s, change order review and approval and schedule monitoring. 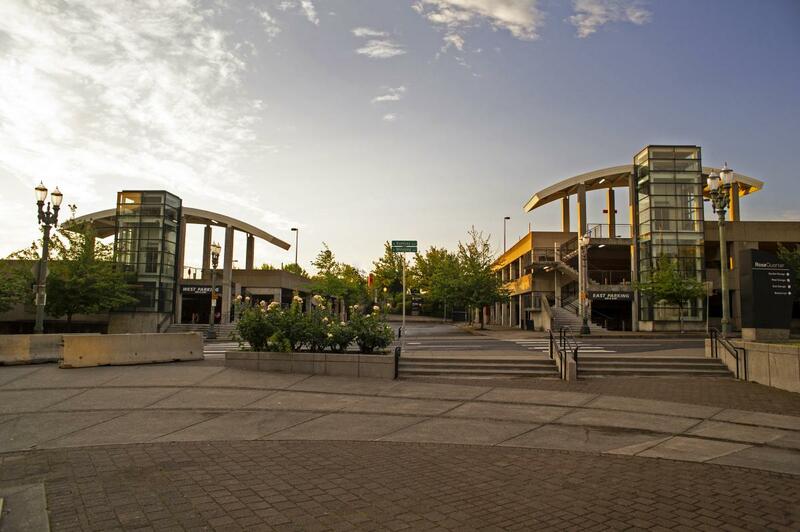 The Rose Quarter Plaza area sidewalk project included improvements that were ADA compliant, including grinding of existing walkways, removal and replacement of panels, repositioning of pavers, removal of trees and refurbishment of expansion joints. 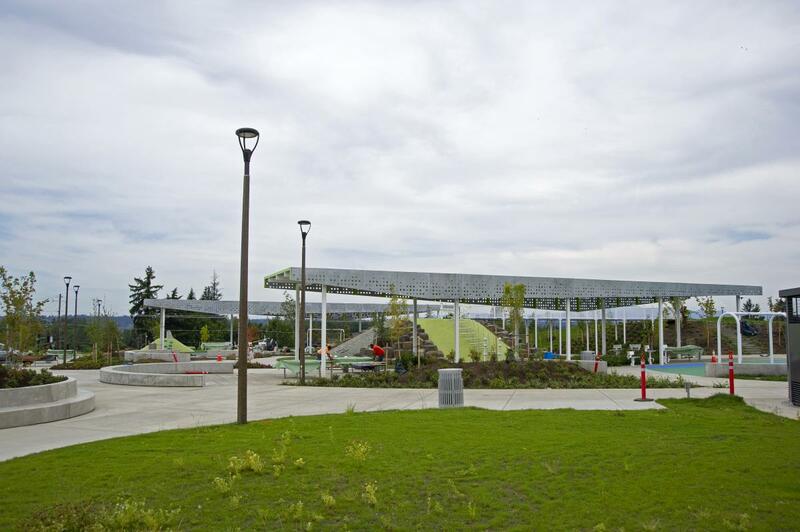 Wenaha Group worked in conjunction with Portland Parks and Recreation and Verde as on site compliance, inspections and contract documents conformance throughout construction and closeout. Wenaha assisted with on site management for quality. 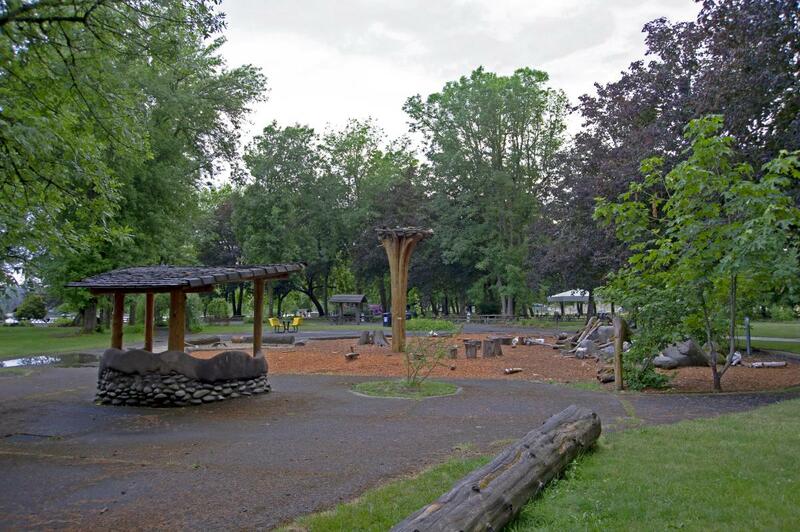 Cully Park features a native gathering garden, off-leash dog area, parking lot, play area, trails, fitness course, in addition to north slope habitat restorations, picnic areas, and youth soccer field. This was a construction oversight of the replacement of the large facia panels around the top of the Veteran's Memorial Coliseum. The scope of work included weekly OAC meetings, safety monitoring, invoice review and approval, schedule monitoring, punch list and closeout. 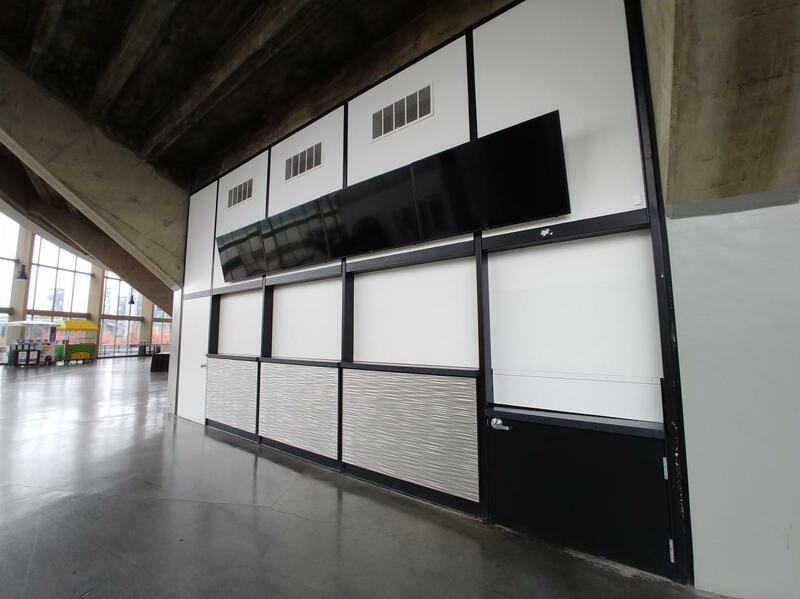 The renovation scope of this project included entry ways, concession stands, visual graphics, custom light fixture install, new paint finishes and custom metal screening. 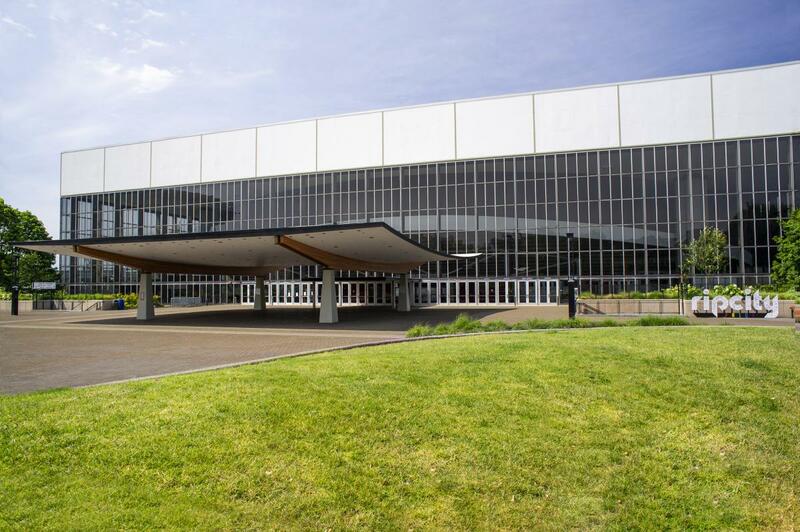 This project was a replacement of the 120,000 square foot roof of the Veterans Memorial Coliseum. The scope included contract negotiations, contract writing, conducting pre-construction meeting, weekly OAC meetings, submittal review, RFI’s, change order review and approval, and schedule monitoring. 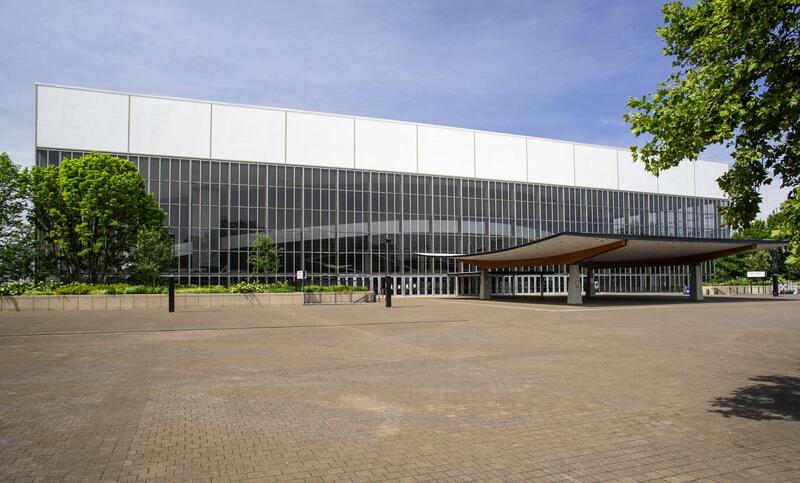 This is a procurement and construction oversight of tree removal and pruning around the Veterans Memorial Coliseum. The scope of work included contract negotiations, contract writing, pre-construction meetings, change order review, invoice review and approval, and schedule monitoring. Project included ductless cooling system to keep the existing relay room within needed required temperature range. Equipment was mounted both on the interior and on a new concrete exterior pad surrounded by protective fencing. Wenaha was involved after design and helped to set contingencies and schedule. During construction responsibilities were review/tracking of RFI’s and submittals along with coordinating facility staff involvement due to critical nature of building equipment. Blue Flame was an analysis and demolition of an existing 4,000 square foot warehouse building. The scope of work included procurement of hazardous analysis firm, production of invitation to bid, procurement of contractor, hazardous materials abatement, demolition of building and construction oversight, which included holding and conducting pre-construction meetings, weekly OAC meetings, submittal review, RFI’s, change order review and approval, schedule monitoring, punch list and close out. Project consisted of Design, Permitting and Construction for the replacement of the HVAC System in the battery room. Work included demolitions, new Roof Top Units, Ductwork, Gas Piping, Fire Sprinklers and Power. 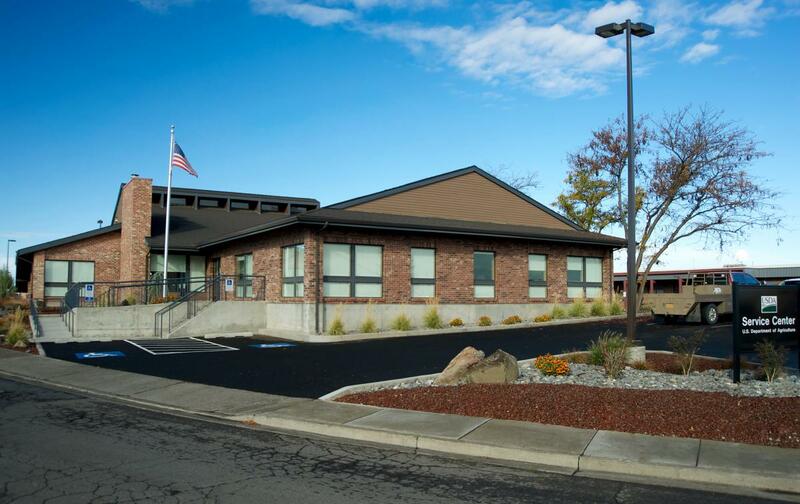 Wenaha helped establish the original budget, managed the design utilizing our sub-consultant, compiled the procurement package, solicited and procured the Contractor, then managed the construction thru final close out. Wenaha Group provided management of the lift design documents through bid solicitation, evaluation, and procurement of the general contractor. Wenaha Group also provided management oversight through construction of the project. This project was removing two existing outdated bus hoist lift systems, installing a new concrete pit with sump pumps in addition to a new updated scissor lift system. Wenaha Group provided project management of the bid solicitation, evaluation and procurement of the contractor, and then construction management oversight through construction of the project. Project was painting the exterior of the Center St. bus garage with new painting scheme, including main garage building, fuel station, wash station and vehicle storage facility. Project included power washing of existing buildings, applying new coats of high durability paint on building, handrails, architectural features and garage doors. Project also included replacement of old garage signage with new updated aluminum signage. Wenaha Group managed the installation of new aluminum signage on existing Center St. bus garage buildings. Signage consisted of new signs for bus bays, fuel and wash station, service vehicles and new TriMet logo. Wenaha Group assembled bid packages, solicited bids, evaluated and provided recommendations. This project consisted of the replacement of the entire HVAC heating system, including new roof top units, ductwork, gas piping and power. Schedule coordination was paramount as this was a building that could not be shut down and work had to occur around ongoing operations. The project was done in phases starting with demolition. Wenaha Group helped establish the original budget, compiled the procurement package, solicited and procured the contractor, and managed construction through final close out. Wenaha Group provided construction oversite through construction and closeout. The scope of work included interior painting of a bus garage, including all offices, lunch room, exercise room, parts rooms, mechanical rooms, etc. in addition to coordination with garage staff. Wenaha Group also coordinated with a moving contractor for relocation of tenants and material, assisted client in color selection, assembled bid packages, solicited bids, evaluated, and provided recommendations. Work was performed during complete functioning of the facility. The scope of this project included repairs of existing stucco panels, window store front, and concrete columns of existing parking garage facade. Construction oversite included a new facade, flashing, water proofing sealant, dry wall repair and caulking to address water leaks into tenant spaces. Wenaha Group also coordinated repairs with existing tenant, helped client solicit change orders and review for fair cost. Wenaha Group partnered with stakeholders to determine design criteria required for the building. 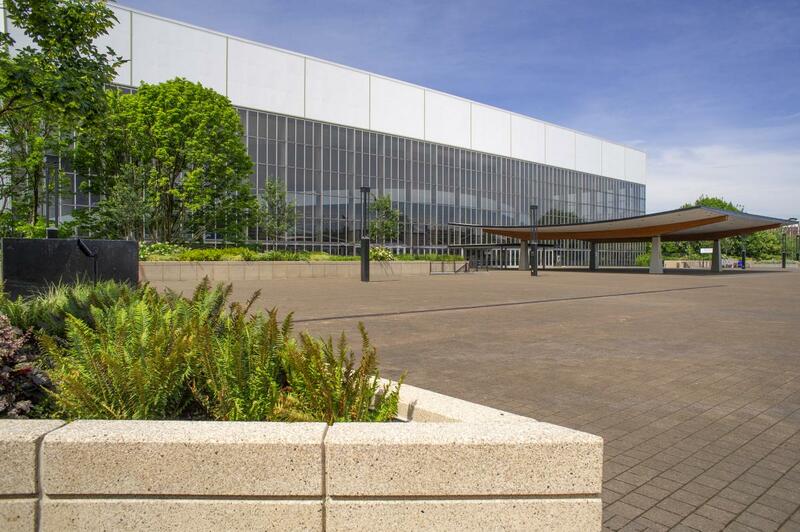 The scope of work included schematic design, design development, construction documents, permitting with the City of Beaverton, coordination of bid documents, procurement, and construction oversight. This project was a replacement of two culverts in Washington Park with welded HDPE pipe, including inlet grates, asphalt patching, outfall rock section, and hillside topsoil repair. The temporary project measures consisted of traffic control, erosion control, and safety limits. 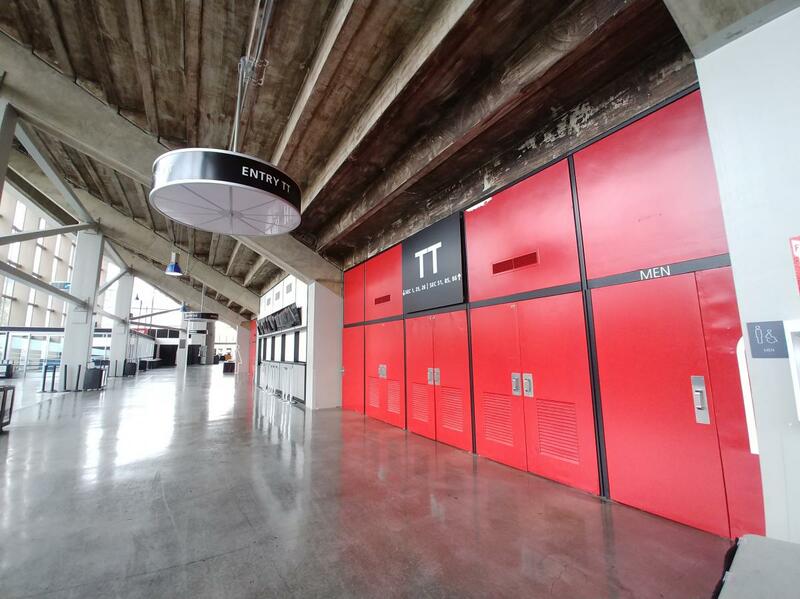 The elevator refurbishment project was a modernization of 19 elevators along existing transit lines over a five year period. The scope of work included removal of existing elevators and associated equipment and replacement with upgraded elevator and equipment. Wenaha Group managed from design through construction and closeout, in addition to coordinating design elements with end users. Because train and bus lines were in operation during the construction phase of the project, we also coordinated public communication efforts to keep customers abreast of construction and on-going operations. This project consisted of a new 1000 square foot steel storage building for TriMet in one of their operating rail yards. 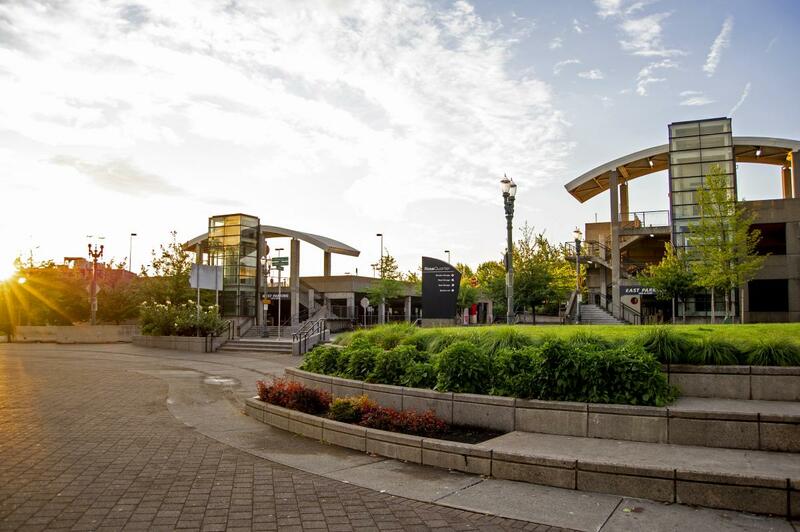 The scope of work included meeting with stakeholders to determine design criteria required for the building, design management from schematic design, design development, construction documents, permitting with the City of Beaverton, coordination of bid documents, procurement, construction oversight, close coordination with rail yard workers, weekly meetings, submittal review, RFI’s, change order review and approval, schedule monitoring, daily reports, photo documentation, punch list and close-out documentation. This project was focused on upgrading finishes to lobbies, offices and meeting rooms such as painting, flooring, wall base, and customer signage. Wenaha Group’s involvement was to help prepare postings to the ORPIN site for contractor bidding and coordinate with onsite staff. Completion of the project was handed off to incoming project managers at Metro. Wenaha Group provided a technical assessment of existing compressors in multiple garage locations as to whether they were recommended for upgrade. 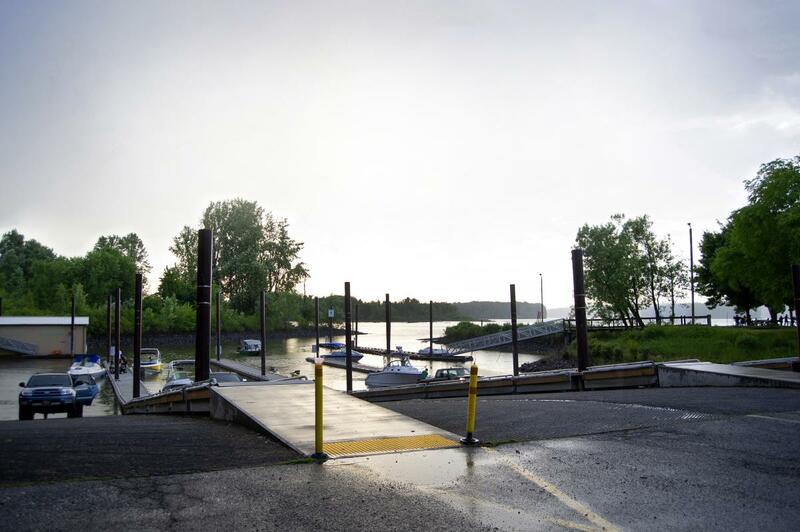 Project consisted of coordinating with Energy Trust of Oregon, Pneu-Logic Corporation, and Roger's Machinery to assess the functionality of the equipment, the rebate incentives, and cost of replacement. Wenaha provided management of the lift design documents through bid solicitation, evaluation and procurement of the general contractor. Wenaha Group provided management oversight through construction of the project. This project was removing the existing outdated bus hoist lift system and installing a new concrete pit with sump pumps, and new updated scissor lift system. Wenaha Group provided construction management services for the construction of minor repairs and refurbishments; new painting, floor covering, sink, counter top, window shades, wainscot, access panels and occupancy sensors. Work was performed while trains and buses were in operation. Interior facilities assessments on 26 separate lay over facilities. Work included information gathering from each facility, inventory, schematic design, replacement costs and estimates were produced for each facility and a recommended replacement schedule. It took close coordination with users, security and stakeholders when visiting each site. Wenaha provided construction management on the replacement of the old pneumatic controls system throughout the building, to a new Direct Digital Control (DDC) system. We helped establish the original budget, compiled the procurement package, solicited and procured the Contractor, managed the construction thru final close out. Construction oversight of the repairs to the radiant heating system in a transit maintenance facility building. The scope of work included holding and conducting pre-construction meetings, weekly OAC meetings, submittal review, RFI’s, Change Order Review and approval, schedule monitoring, punch list, and close out. Wenaha Group worked closely with one of the on-call architects to partner on a replacement of the chiller at the Africafe/Aviary Building. The work included the replacement of the chiller, the curbs, the roof and exhaust hood. The scope of work included design management, design review, budgeting, scheduling, close tenant coordination, bid package preparation, pre-bid conference, bid review and approval, contract negotiations, pre-construction meeting, weekly OAC meetings, submittal review, RFI’s, change order review and approval, schedule monitoring, punch list and close-out documentation. This was a full assessment and renovation of an existing elevator in the Africafe. 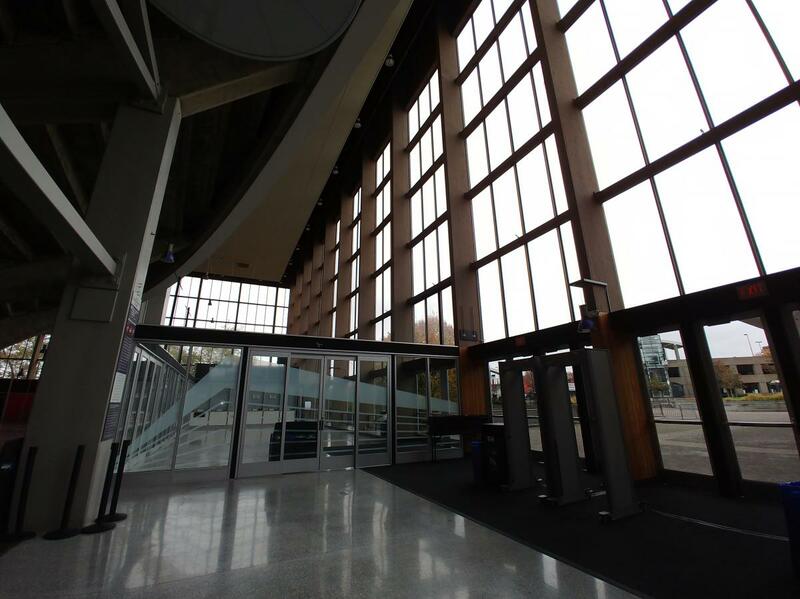 The scope of work included full assessment of the elevator, full design documents, permitting, procurement, construction management, and construction closeout. This project included procurement and construction oversight of the replacement of the HVAC system in the Zoo Research Building. The scope of work included bid package preparation, pre-bid conference, bid review and approval, contract negotiations, pre-construction meeting, weekly OAC meetings, close tenant coordination, submittal review, RFI’s, change order review and approval, daily reports, photo documentation, schedule monitoring, punch list and close-out documentation. This project included procurement and construction oversight of the replacement of the HVAC system in the Zoo Retail Building. Our scope included bid package preparation, pre-bid conference, bid review and approval, contract negotiations, pre-construction meeting, weekly OAC meetings, close tenant coordination, submittal review, RFI’s, change order review and approval, daily reports, photo documentation, schedule monitoring, punch list and close-out documentation.